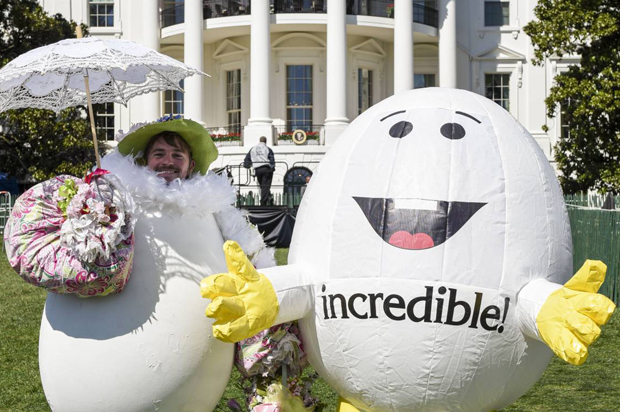 For 138 years, the annual Easter Egg Roll has been the biggest single public event held at the White House, attracting over 35,000 Washington-area schoolchildren, military families, and Congressional guests to celebrate Easter. Not this year. When the Trump’s host the high-profile event April 17th, it will be significantly scaled down as a result of a failure to do the necessary advance planning, purchase the wooden eggs given as gifts on time and send out invitations to bring the children and their families to the White House for the celebration. The person most involved with the Easter Egg Roll typically is the First Lady, which appears to be the problem. Melania Trump, unlike her predecessors, has not moved into the White House or taken as active a role as prior Presidential wives and has been slow to hire her full contingent of staff. This is an event by which all First Ladies are judged. Melania has a chief of staff and a social secretary but has not yet named a director for the Visitors Office, the person who typically takes the lead in organizing the Easter Egg Roll, which takes a significant amount of organizational effort. The White House has ordered only about half as many of the wooden Easter eggs from Wells Wood Turning that are given as gifts and sold to the public, in part because of a lack of manufacturing time. The Maine company sent tweets to Trump, Melania, and Ivanka in February asking them to reach out, but didn’t hear back promptly. A spokesperson for the area public schools, which usually get 4,000 tickets, told The New York Times they have not been approached yet this year. The group representing military families has not heard from the Trump White House, and no tickets have been allocated to Congress to use for constituents. The costumes for characters in recent years have come from PBS Kids, but because the request was late, there will only be one costumed character from Sesame Street this year. That may be ironic in that Trump wants to eliminate federal funding for PBS and Sesame Street. In the past celebrities have appeared at the Easter event – including Justin Bieber – but none have been announced for this year, or are expected. The White House insists everything is fine and the Egg Roll will take place as usual, but once again that is a Trump administration falsehood. Just as it has failed to get government positions filled promptly, failed to get its legislative agenda passed, and failed to keep campaign promises on health care, taxes and more. The Trumps can’t even get the Easter Egg Roll right.